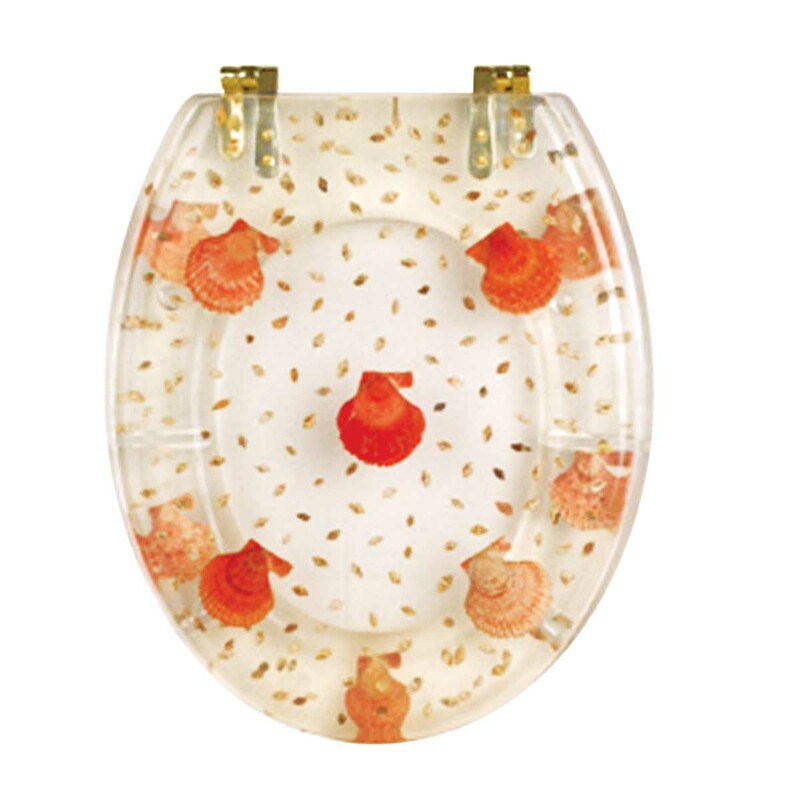 Sea Shells Toilet Seats: Made of High Grade Polymer this seat is designed for maximum strength and durability and does NOT yellow over time like most polymers. Cast within the seat the stabilizing bumpers prevent rocking and keep the seat safely in place. Oval, brass PVD hinges are tarnish resistant and fit hole spacing 5 1/2 in. 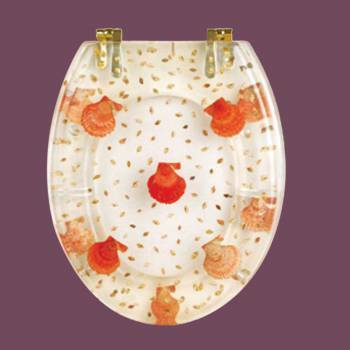 on center and are adjustable but not recommended for adjusting on standard US toilets. May not be compatible with other brand name toilets. Seat measures: 16 7/8 in. x 14 1/2 in. Lid measures: 16 1/8 in. x 13 3/8 in.